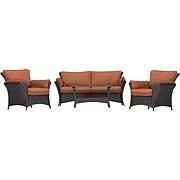 Relax in casual style and comfort with the Savannah 5-Piece Chat Set from Hanover Outdoor. 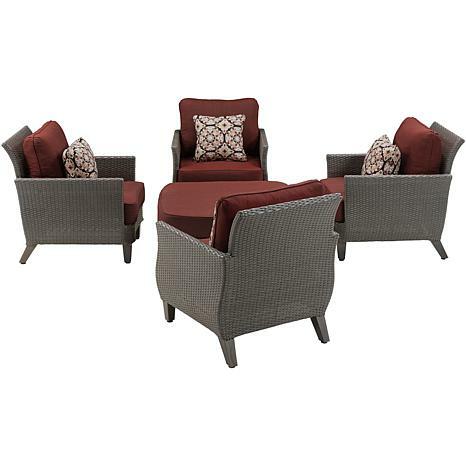 Perfect for small spaces, this set features four cozy lounge chairs and an oversized ottoman. Each piece is generously appointed with extra-thick, foam cushions that will cradle your guests in the ultimate comfort. The Savannah Collection makes a magnificent addition to any design aesthetic. 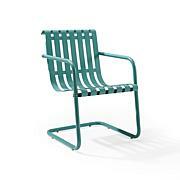 Its gently flared arms and deep-seating frames allow your guests to sink into style and enjoy the outdoors. 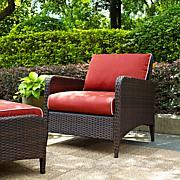 All cushions and accent pillows are wrapped in premium outdoor fabric that resists moisture, stains, and UV harm. The beautiful weave is handwoven using transitional gray and brown resin that easily integrates with existing decor. 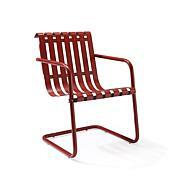 It's easy style, assembly, and low-maintenance materials make this set perfect for any setting it's placed in.